Pregnancy probably lasts so long because there are so many things to prepare to welcome your baby into the world. Get a jumpstart on planning your maternity leave. We show you how to afford maternity leave in the United States, where sadly, paid maternity leave is not an option. Make shopping for your new baby an eco-friendly endeavor for yourself and well-wishers by registering for your little one’s gifts at one of these top 10 eco-friendly baby registries. It’s also easy to create a green baby registry from any online store. And learn how to plan a green baby shower to give your wee one a smart start. Of course, all of this shopping and party throwing can get quite costly, so read our green parenting budget tips to help keep your finances under control. Sign up for a childbirth education class to get as ready as possible for your labor and delivery. We show you how to choose the type of class that’s best for you. These 10 doula recommended childbirth preparation tips will also empower and enlighten moms-to-be, and these 6 must-read books for parents-to-be will also arm you with invaluable knowledge. After you hit the books, kick up your feet and watch the film More Business of Being Born for a wealth of vital information about childbirth. Have you written your birth plan yet? Here are 5 tips for writing your birth plan for the big day. And if you plan on breastfeeding, we show you how to locate a breastfeeding friendly hospital. Finally, few parents think to plan for the emotionally intense and exhausting days after baby is born. 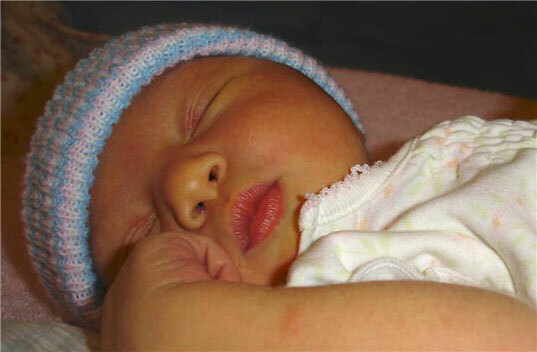 Read our 7 tips on preparing for postpartum life with a newborn… you’ll be happy you did! Pregnancy probably lasts so long because there are so many things to prepare to welcome your baby into the world. Get a jumpstart on planning your maternity leave. We show you how to afford maternity leave in the United States, where sadly, paid maternity leave is not an option. Make shopping for your new baby an eco-friendly endeavor for yourself and well-wishers by registering for your little one's gifts at one of these top 10 eco-friendly baby registries. It's also easy to create a green baby registry from any online store. And learn how to plan a green baby shower to give your wee one a smart start. Of course, all of this shopping and party throwing can get quite costly, so read our green parenting budget tips to help keep your finances under control. Sign up for a childbirth education class to get as ready as possible for your labor and delivery. We show you how to choose the type of class that's best for you. These 10 doula recommended childbirth preparation tips will also empower and enlighten moms-to-be, and these 6 must-read books for parents-to-be will also arm you with invaluable knowledge. After you hit the books, kick up your feet and watch the film More Business of Being Born for a wealth of vital information about childbirth. Have you written your birth plan yet? Here are 5 tips for writing your birth plan for the big day. And if you plan on breastfeeding, we show you how to locate a breastfeeding friendly hospital. Finally, few parents think to plan for the emotionally intense and exhausting days after baby is born. Read our 7 tips on preparing for postpartum life with a newborn... you'll be happy you did!